The Gran Tour Lanzarote is the perfect excursion if you want to visit the best sights on Lanzarote in one day. 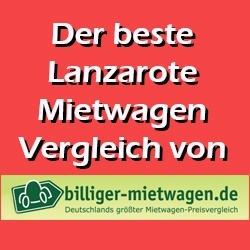 A lot of Lanzarote visitors opt for the Great Inseltour Lanzarote. You will be picked up near your accommodation in the morning and an English-speaking guide accompanies you throughout the day. The tour starts in the morning between 9 and 10 o’clock and lasts until 6 pm in the evening. A stop will be served at lunch time, where you can optionally book a lunch. A modern, fully air-conditioned coach takes you to the attractions in the north and south of the island. After picking up, head south to Los Hervideros and El Golfo. Los Hervideros is located right on the volcanic coast of the island and you can see how the Atlantic is bursting with force against the volcanic stone formation. The power of the sea has eroded the rocks and you can walk along paths through the volcanic formation. Near the village of El Golfo you will find the crater lake Charco de los Clicos. A half-broken crater has filled with water and a special kind of algae gives the water an unreal green color. Directly in front of it lies the black beach in which one can with a little luck the precious stone olivin can be found. Many jewelry shops on Lanzarote offer beautiful jewelry with olivin stones. 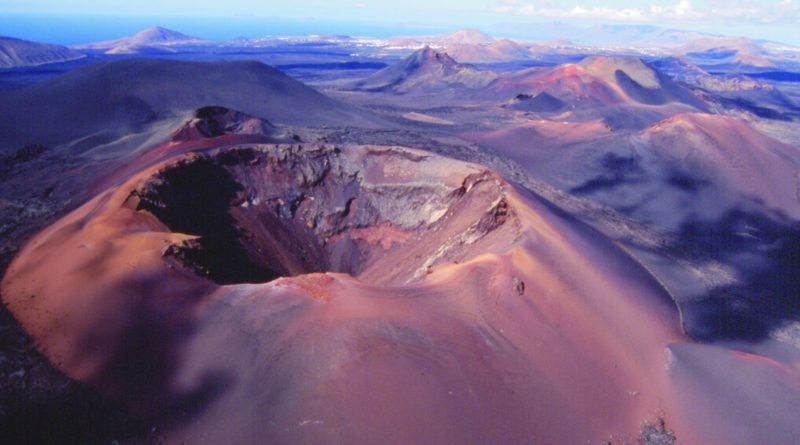 The next stop is an absolute Lanzarote highlight: the national park Timanfaya. For six years the volcanic eruptions have turned this part of the island into a unique volcanic landscape. In the visitor center, the park employees show the heat in various presentations, which can be found directly below the surface. Bushes begin to burn and water fountains shoot high into the air. On the 45-minute tour you can see the most beautiful corners of the national park of the volcanoes, which are called by the locals fire mountains. If you want to experience the park on the back of a dromedary, you will also have the opportunity at the Dromedar station. The 15-minute ride costs 6 € per person extra. If you do not want to ride on a dromedary you can look at the impressive landscape. For the lunch break we stop in a typical restaurant of the island in Mancha Blanca. Those who have booked the optional lunch can choose between different dishes, drinks are also included. You will also have time to visit one of the most important churches of the island, the Iglesia de Nuestra Señora de los Dolores. Then the Grand Inseltour Lanzarote goes to La Geria. You will be amazed at the incredible work that the island ‘s workmen have invested in order to extract an exquisite wine from the barren volcano. We also stop in a bodega of the island where you can taste the wine. On the way to the north of Lanzarote, we visit the valley of the 1000 palm trees at Haría. The town of Haría is situated in a long valley, where the famous island artist César Manrique spent his last years of life. Various viewpoints offer a great view of the idyllic place. From Haría we continue to Jameos del Agua, the most important work of César Manrique. In a natural volcanic tunnel, the artist has created an absolutely worth seeing center, which optimally converts his striking combination of nature and architecture. It is worthwhile to have a little time and rest in order to let the place work. From the albino crabs in the volcanic cave over the impressive pool to the concert hall there is much to discover. With the visit to Jameos del Agua, the Gran Tour Lanzarote ends and all participants are brought back to their accommodation.